Summer seems to have abandoned us for the moment. As I tap out this post on my laptop the wind is howling down the chimney and scaring the cat. Squally showers have drenched the unlucky and unprepared throughout the day. Yes, the warm sunny days chasing Chiffchaffs and Orange Tips along the Wirral Way seem a lonfg time ago. There is a definite autumnal theme to the weather toady. However the Patch and it wildlife never lets me down. Even though I have watched my Patch in deep deep detail for over a decade I am constantly awestruck by what I can find, both new and familiar. 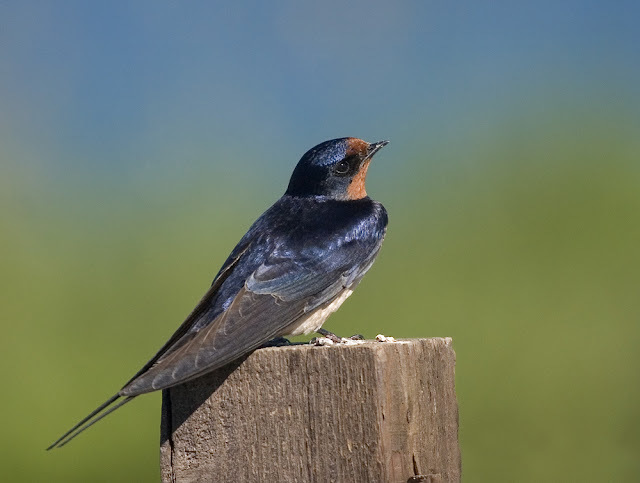 First up to remind me of summer is that quintessential seasonal migrant the Barn Swallow. The second Swallow to re-ignite summer is unexpected and a first for me on the patch. There is not much in the way of birdy action, so I decide to investigate the hedgerows for bugs. Butterflies, damselflies or, well anything really! Shaking a couple of branches loosens the grip of a few shield bugs, various leaves and a twig. It moves. Wriggles. 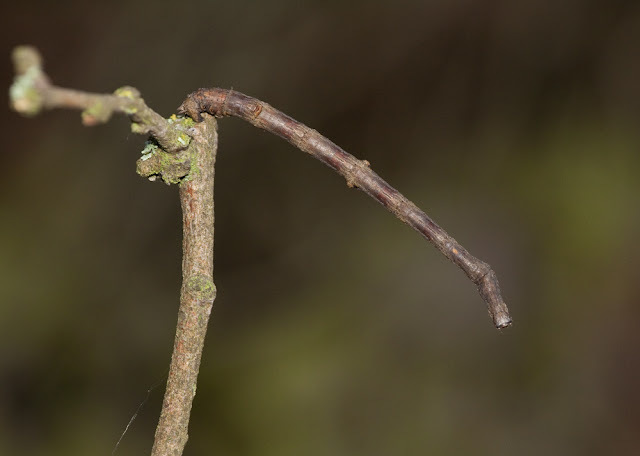 The twig is a caterpillar. But such disgusie, amazing deception. Never in a million years would you have spotted this on the branch. 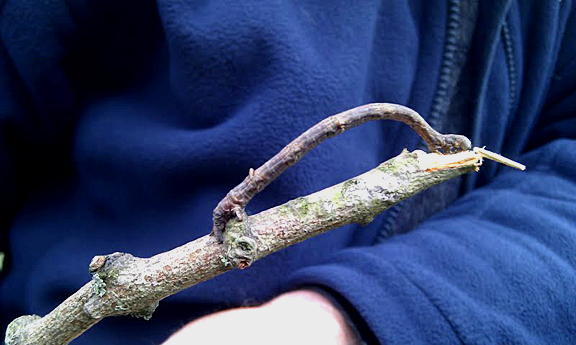 It IS the branch. This needs to be recorded. But all I have is the telephoto kit. A call is made, macro equipment is requested, but as a back up I snap it with the mobile. It is the best thing I have seen for ages! The exposure is all wrong but the controls on the phone are pretty basic. 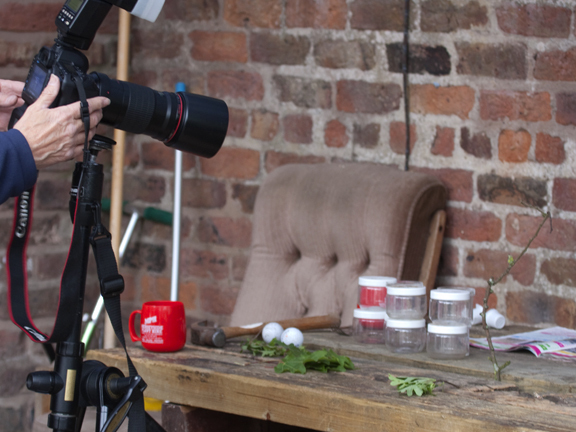 Fingers crossed the macro kit arrives so we can do it a bit of justice. Kit arrives in the nick of time, impending appointments mean time with this caterpillar will be limited. While the kit is in transit efforts are made to identify the wee beast we have happenned upon. It aint a butterfly so that makes it a moth. That means we have over 2,000 possibilities to choose from. Could take a while. Oddly it doesn't. A few turns of an excellent field guide and a peep at the UK moths website reveals our twiggy find is a Swallowtail moth. This second Swallow has made my summer! Kit arrives and is hastily erected. The Swallowtail is introduced to it's perch and it assumes it's resting position. It stands tall and proud from the stick. Literally standing out but invisible at the same time. The caterpillar is photographed and then returned to it's hedgerow home. As it disappears into the undergrowth I can't help one last picture with the phone. 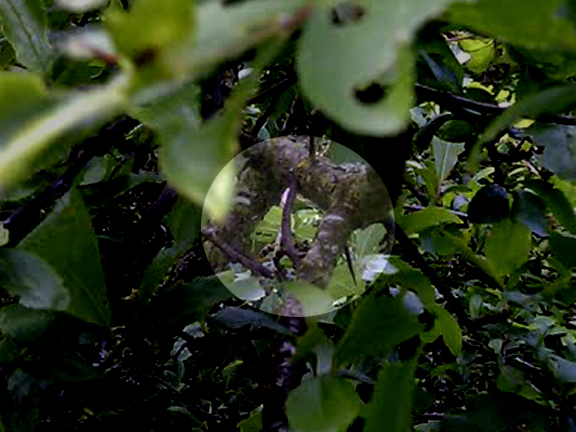 I can still see it on the branch as it is lingering where I left it, but if I hadn't highlighted it in Photoshop you wouldn't spot it.